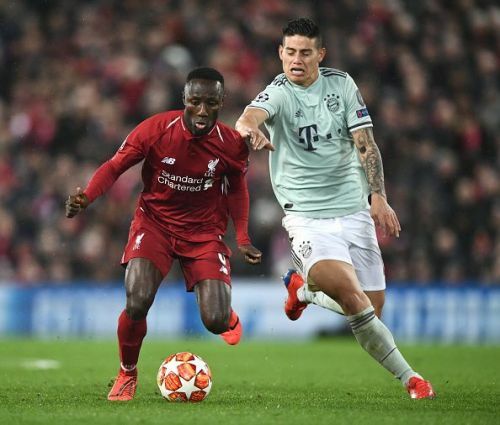 Drama, excitement and tension will be expected in Germany tonight as Bayern Munich and Liverpool clash in the UEFA Champions League. Both teams have won the competition 5 times, both love the colour red, and are both chasing the league title in their respective countries. Bayern in Niko Kovac’s first season as manager have overcome a poor start, and are level on points with BVB at the top of the Bundesliga table. Liverpool sit just a point behind Manchester City in the Premier League with 8 matches to go till the season ends. Bayern Munich was pushed all the way in Group E of this season’s competition by Ajax AFC. The Germans were lucky not to lose to the plucky Dutch side in the tie played at the Allianz Arena. However, they rallied and finished the group as top dogs with 14 points. Liverpool had a less straightforward path to the Champions League Round of 16. Paired in the proverbial Group of Death (Group C) alongside PSG and Napoli, the Reds lost all their matches on the road. 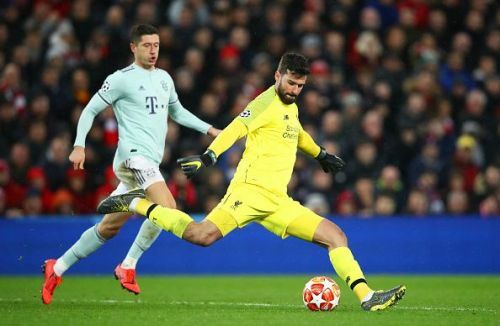 However, a clean sweep of victories at Anfield was enough to see them squeeze into the 2nd round in second place ahead of Napoli on the head-to-head rule. Both teams have been in decent form of late in their respective leagues. Bayern have overcome a difficult adjustment phase, and are now atop the league table on goal difference. Liverpool have also been in decent form, and have refused to fall by the wayside in their fascinating battle with Manchester City for the Premier League title. 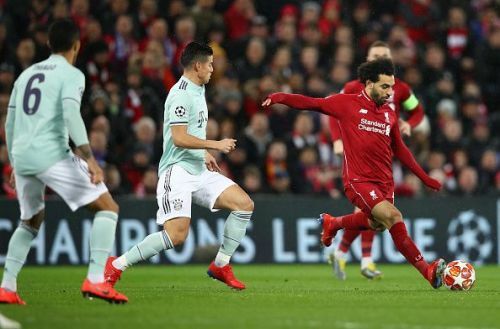 The first leg was a dour, slow-paced affair with Liverpool as the home team failing to take the game to their German visitors. Bayern, on the other hand, were overly cautious, and refused to venture too far forward. This tie at the Allianz Arena is expected to be a far more intense affair, with both teams fully aware of what the stakes are. Roberto Lewandowski is the tournament's leading goalscorer with 8 goals. The home crowd will be expecting the Polish goal-getter to lead from the front again against the Reds from Merseyside. Mohamed Salah has had a disjointed campaign so far and is yet to light up the competition as he did last season. He has scored 3 goals so far and will be the man to watch for Jurgen Klopp's men.